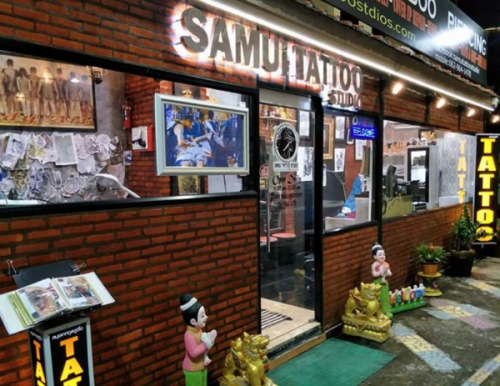 Welcome to Samui Tattoo Studio. 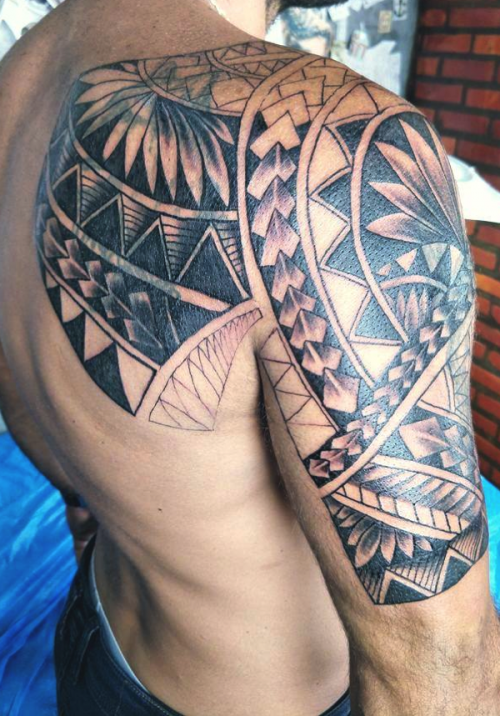 We are profesional tattoo artists and have been creating amazing tattoo's on Koh Samui since 1998. All our work is safe and clean and we can do artistry from small to large pieces depending on your choice. We are centrally located in the Chaweng Beach area of Koh Samui and easy to find. This is our shopfront and can be seen from the main road. Please come and talk to us to discuss your ideas for a tattoo or let us guide you. 10% Discount -- Show evidence you found our shop on samuizone.com and recieve a Ten Percent discount on our services. -- 10% Discount. A tattoo in progress, not completed, good work takes time. Appointments are necessary for the best service. "We love our work, we love to create artwork and designs to suit your individual personality and style." We are also one of the driving forces for the Koh Samui Tattoo Convention held here to support the ongoing creativity and artistry of tattoo artists from all over Thailand. They are invited to attend to compete for Trophies in different catergories and achieve recognition for their work. 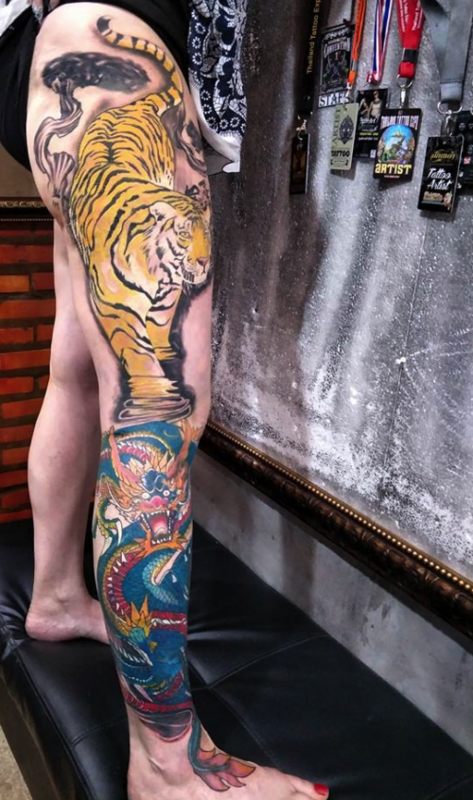 Amazing Tattoo's take time. This was a 3 day creation, 22 hours, please think about this when you come for holidays and wish to get an extensive tattoo. Also during and after you cannot go swimming as well on this island paradise with all its beaches and watersports, please be aware of this also. However with a tattoo done on Koh Samui you will always have a spot on your body to remind you of our awesome island and your holiday.